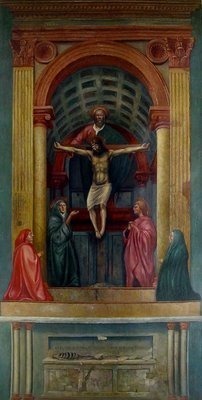 "Landino praised Masaccio for his imitation of the true appearance of objects in nature (imitazione del vero), the roundness (rilievo) he gave to his figures, the harmony and coherence of his compositions, his dedication to the clarity of three-dimensional form at the cost of ornamental grace ( puro senz'ornato), his mastery of perspective and his assurance in dealing with technical problems ( facilità). 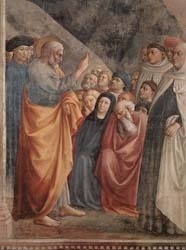 In its concise definition of the essential components of Masaccio's style, Landino's text has not been surpassed. " 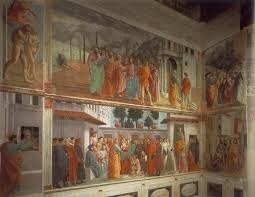 Masaccio was the the father and inventor that laid the groundwork for the Florentine Renaissance. He marks the beginning of a new era and his influences are wide and stretch throughout the entire Renaissance. 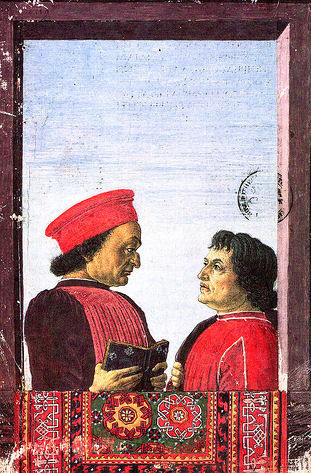 Due to his short life Masaccio had little impact during his career although his former colleague Masolino and his apprentice, Andrea di Giusto, were known to have studied his work. 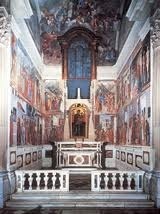 When Masaccio died in Rome, he was unheard of and had to wait almost 20 years to be buried. In a time stagnant from Gothic styles, colors and portrayals of human life, Masaccio took what he could from Classicism, Giotti and artists around him and pioneered a style encompassing science, reality, color, realism and humanism. Through an incorporation of linear perspective, he was able to present people and religious figures in a light never seen before and offered society a look into the actual rather than the imaginary. Bernard Berenson said that Masaccio "gave Florentine painting the direction it pursued to the end. " He states that later came painters who possessed perhaps better craft, better science and exactness but no one created a "greater reality" or "greater significance" than Masaccio did. Masaccio's talent was certainly known in the art community but his genius wasn't recognized by his contemporaries until years after his death. It has been noted that Florentine painters like Paolo Schiavo, Fra Angelico, Giovanni del Ponte, Bicci di Lorenzo, Gentile da Fabriano, Francesco d'Antonio, Fra Filippo Lippi, Andrea Castagno and Giovanni Toscani also studied his work and blended it into their own. Leonardo da Vinci once wrote that in his paintings Masaccio, "showed by his perfect works how those who take for their standard anyone but nature, mistress of masters, were laboring in vain." In his book 'The Lives of the Artists,' Vasari stated that there were three periods in Italian Renaissance denoted by the artists, Giotto, Masaccio and Leonardo da Vinci. Vasari believed Raphael was the artist encompassing the good style that Masaccio had made possible. Although Masaccio only has a few works attributed to him alone, the Brancacci Chapel frescoes were some of the most studied frescoes during the Renaissance. 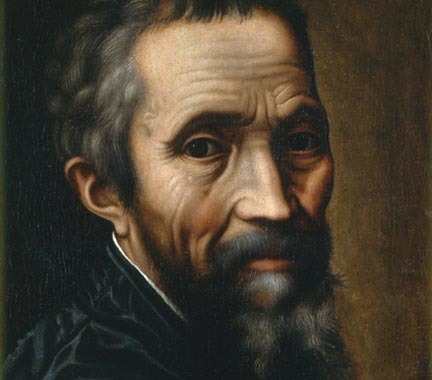 Michelangelo, da Vinci, Raphael and virtually all Renaissance painters are said to have observed this work. According to Bernard Berenson, "As it was, his frescoes at once became, and for as long as there were real artists among them remained, the training school of Florentine painters. " It has been said by many that the incorporation of linear perspective and Masaccio's uses of light, choice of colors and vanishing points were not to be rivaled, overcome or done well for many years after his death. In recent times questions have arisen about the exactness of the distance-point in Masaccio's painting Trinity. It has been argued by mathematicians that the distance-point is not distinguishable or rather the margin of error is too great, and for the rules of linear perspective to apply the distance point must be exact. Such allegations are somewhat ambiguous as to which formula is applied and if the model should be applied according with Euclid's book on geometry but it is worth mentioning that Trinity has undergone much restoration and so it is difficult to look upon Trinity with exactness. The fact that Masaccio died at such a young age leave art fans to wonder what he would have achieved if he had lived longer and if he really belongs in the shadows of the larger Renaissance masters.